In East Asia, one of the most popular and surprising places to get a mani-pedi is at a hot pot chain. At HaiDiLao, a prolific hot pot specialist, you can get a variety of complimentary services while you brave the two-hour-plus wait for a table, including shoe shining to car washes to, yes, professionally applied French tips. The services are an interesting prelude to the kind of meal where the lowbrow, freewheeling atmosphere is a given. 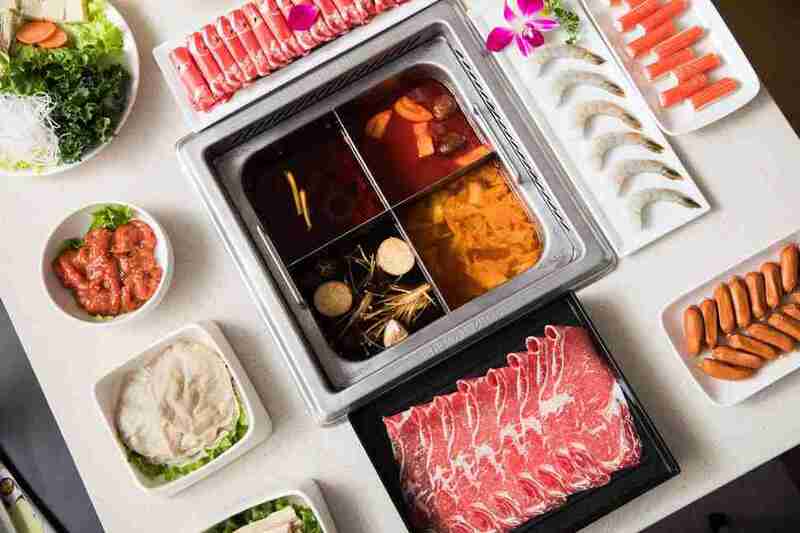 But it’s this unmoderated embrace of over-the-top service—and the glut of freebies that comes along with it—that separates the upscale HaiDiLao from its peers in the hot pot business. HaiDiLao began in 1994 in a humble 4-table booth in a small town in China’s Sichuan Province, opened by a former tractor factory worker named Zhang Yong. He offered a local style of hot pot called ma la tang, a spicy and tongue-numbing concoction that features fresh ingredients like lettuces, meatballs, and mushrooms cooked in a communal pot. Over time, he began to introduce complimentary service elements to distinguish himself from the other hot pot joints: a staff nail stylist for waiting customers, shoe shines, and fresh sliced watermelon for a complimentary dessert. Those features were such a hit that they became an integral part of his expanding business. Now the hot pot chain, whose name is derived from a mahjong term that signifies a successful turnabout, has become so popular that it is now apparently worth more than a billion dollars. In China and at its overseas locations in South Korea, Japan, Singapore (and soon, London), it’s not unusual for hungry diners to wait two- to five-hour wait for a table. Rather than allowing the wait to put potential guests off, the chain of 200-and-counting restaurants has made a name for itself through offering the kinds of bells and whistles that most resorts, let alone your fave brunch spot, can’t match. They want to make waiting for your table at least as fun as actually getting there, and it takes more than a simple magazine rack and free water to make that a reality. It’s a world away from trendy American spots with similar wait times, where even receiving a text notification from the host stand can feel like a luxury. The chain’s US outposts in Arcadia, CA and Cupertino, CA keep it to the small-scale freebies, since there are stricter labor laws, materials costs, and higher minimum wage standards in California make the bigger services too cost-prohibitive. Even so, the restaurant’s complimentary hair ties, phone chargers, restroom grooming kits, and iPad ordering system has wowed American diners, despite having a menu that’s a bit pricier than the rest. (Expect to spend around $30-$50 per person for dinner; it’s definitely pricier than the $15 you could expect at a basic hot pot place.) 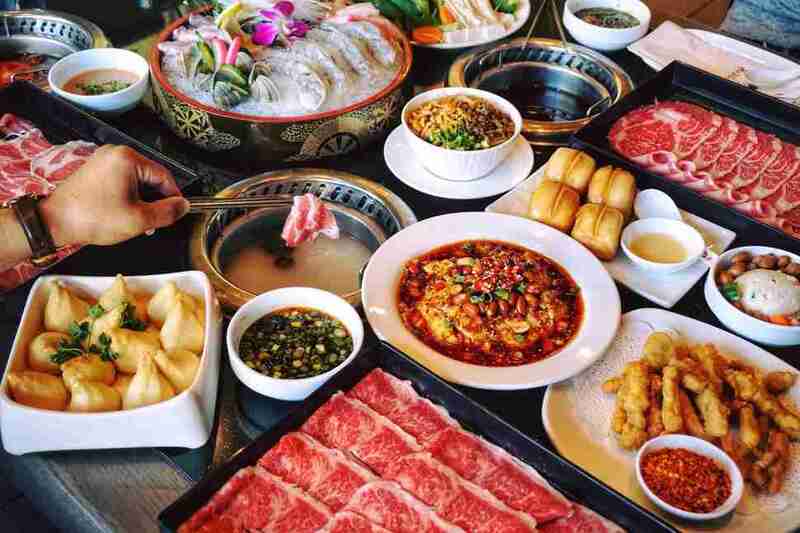 If you’re into the long distance hot pot experience, you can eat in the special video conferencing rooms that are equipped with flat screens that can connect you with your faraway friends and colleagues. Adding to that luxury feel is the company practice of having a dedicated server for each table to deliver ingredients and broth and assist with cooking. That doesn’t seem so impressive until you realize that at most restaurants, a server’s section could include 5-8 tables at once. 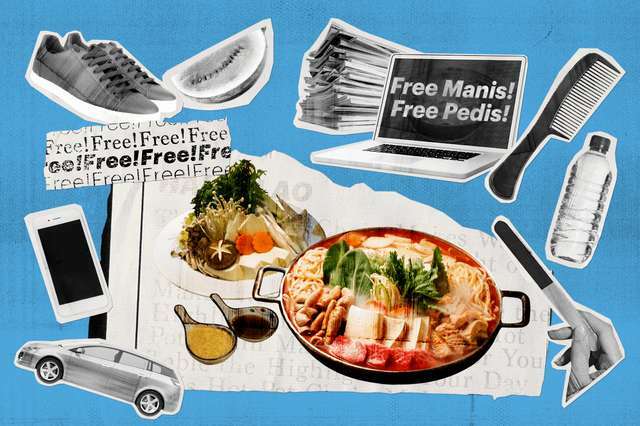 The pairing of such a populist and humble meal—the communal hot pot—with the kind of full-on pampering that HaiDiLao offers might seem kind of strange for hot pot veterans. But it makes sense for a place like this to be in Cupertino and Arcadia, two of the wealthiest areas in the country. Arcadia, which has seen a huge influx of investment and immigration from mainland China, is now commonly known as the “Chinese Beverly Hills.” So for the nouveau riche residents, going out with your friends to a hot pot place where you’ll be treated like a god sounds right up their alley. Outside of the US, HaiDiLao’s dining room experience goes beyond getting your smartphone battle-ready. In China, they’ve been known to provide lone diners with tableside companions—mainly big teddy bears, but in one case, an actual cat. Patrons with infants can use the house cribs that the staff will roll out to the table. All of the bathrooms have attendants that will pump soap for you. While the freebies make the most waves, the food is also attractive and fun. When you order hand-stretched noodles with your hot pot at HaiDiLao, you also get a dance for your trouble. Rather than simply being delivered in a plated pile, the perfectly chewy strands are stretched in front of you by a specialist, dressed head to toe in white, who performs a choreographed dance, whipping the dough around the table like a floury ribbon at a rhythmic gymnastics show. It’s a sheer spectacle, and the noodles aren’t too shabby either. Above all, Tseng noticed how the restaurant reflected the changing demographics of the Chinese immigrants in the area. “It’s a whole new generation of people with money who are coming here from China, and it’s so different from the previous generations who had to make do with way fewer resources. And the thing is, they’re part of our immigrant story, too.” The mom-and-pop Chinese restaurant as we know it in America, with its sweet chintziness and mediocre service, isn’t the kind of place the new money folks of the San Gabriel Valley are interested in visiting—instead, they’re frequenting posh exports like HaiDiLao, Meizhou Dongpo, and Bistro Na to get their taste of home. Rather than shifting their approach to cater to specifically American tastes, these restaurants, backed by corporations and restaurant groups, have the financial leeway and opportunity to take the McDonald’s approach and airlift their food and values overseas. Time will tell if HaiDiLao and their peers can truly stick the landing. Previous attempts by Chinese chains like Bian Yi Fang and Tamsui River ended in failure, but HaiDiLao has already scored a lease in a shopping center planned for Flushing, Queens. It’ll be interesting to see how their service standard shakes out in a town where fine casual—the marriage of high quality food and low-effort service—has come to dominate the food scene. Since HaiDiLao’s main distinction lies in its freebies, could New Yorkers fall under the noodle dancers’ sway, especially when Flushing is already rife with amazing Chinese food options? My guess is yes, if HaiDiLao can figure out how to provide the same waiting services they provide in its Chinese outlets: after all, New Yorkers do love multitasking.